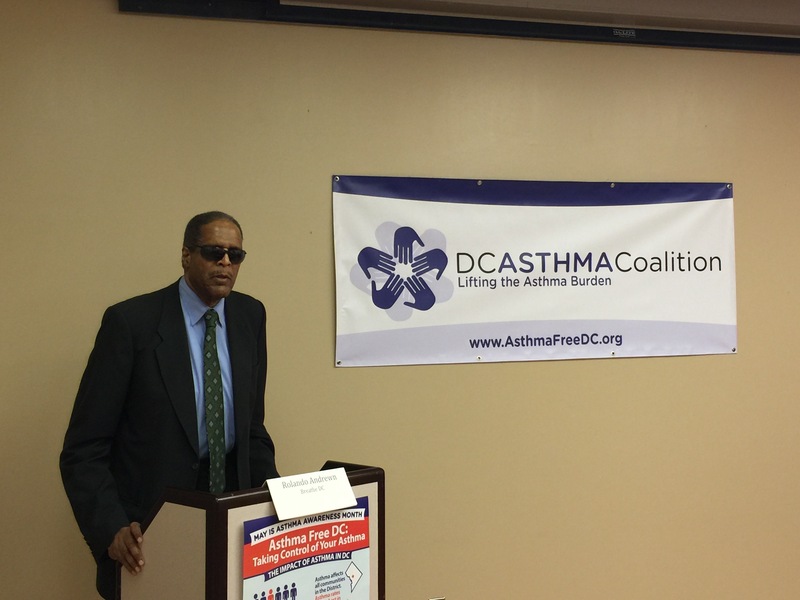 Washington, DC, May 3, 2016 – The DC Asthma Coalition (DCAC) commemorated World Asthma Day and Asthma Awareness Month with a press conference to kick-off a number of events in May as a united front to bring attention to the asthma problem in the District. 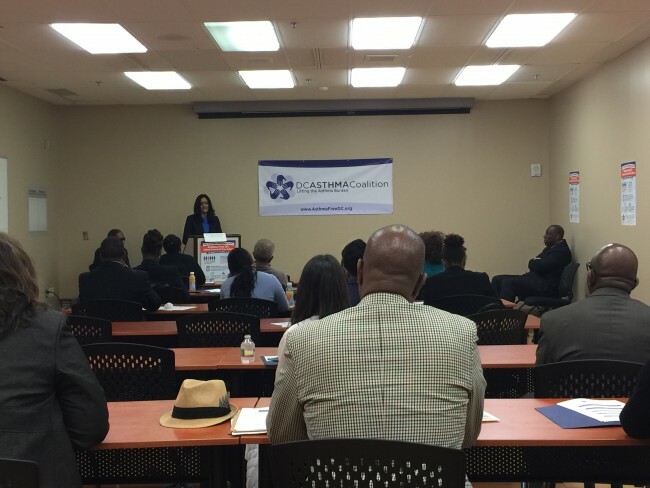 A coalition of medical, business and community advocates have come together to raise public awareness about asthma and how it can be controlled. 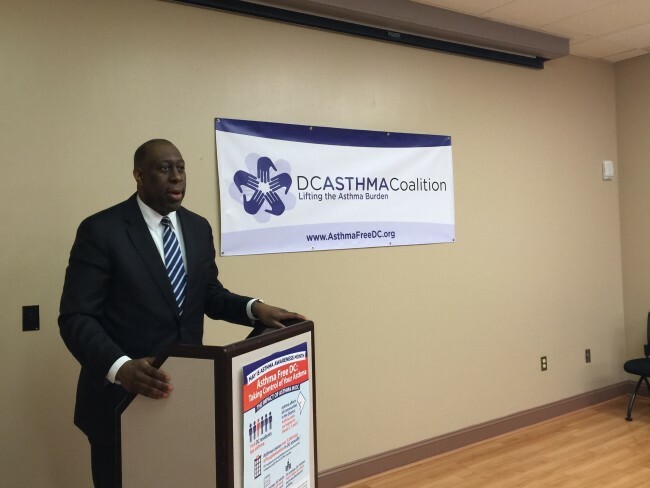 The DCAC is calling for the DC City Council to provide $1.5 million to launch the DC Asthma Public Awareness Campaign. The nation’s capital has one of the highest rates of asthma in the United States, and asthma is the leading cause of emergency room visits, hospitalizations, and school absences. 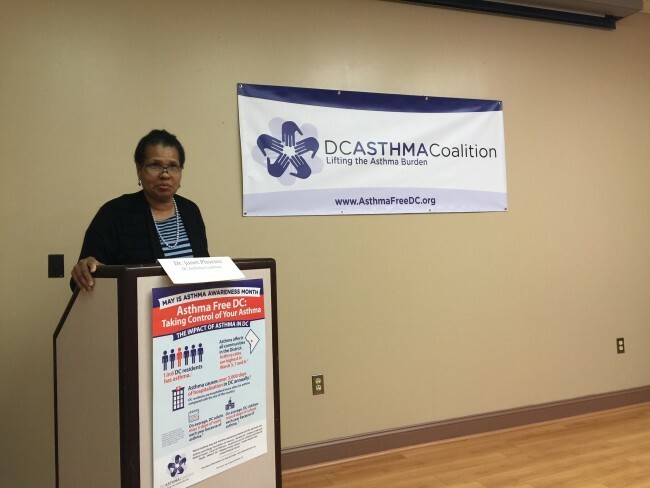 Dr. Janet Phoenix, Chair of the DCAC, unveiled the Executive Summary for the new three (3) year Strategic Asthma Action Plan, explaining: “In the District, there has been a steady rise from 386 to 525 emergency room visits (per 10,000 population), from 2010 to 2014 for children zero to 17 years old.” The Strategic Asthma Action plan will be used by the coalition as a roadmap to lower these numbers and hopefully help put an end to this epidemic. The Asthma Heroes Public Service Announcements (PSAs) were also released. These were PSAs done last year by the coalition during World Asthma Day and Asthma Awareness Month and took a closer look at children with asthma and how it affected them on a daily basis. 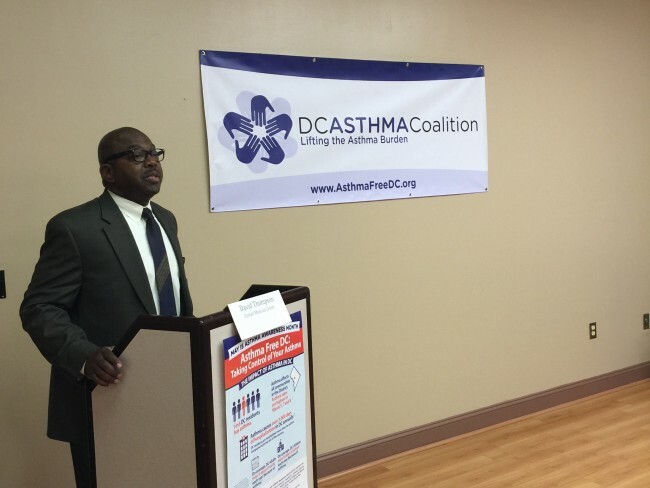 The DC Asthma Coalition is a partnership of 89 individual members representing 33 organizations including the government, community-based organizations, managed care organizations, schools and other institutions that have an interest in eradicating the asthma epidemic in the District. 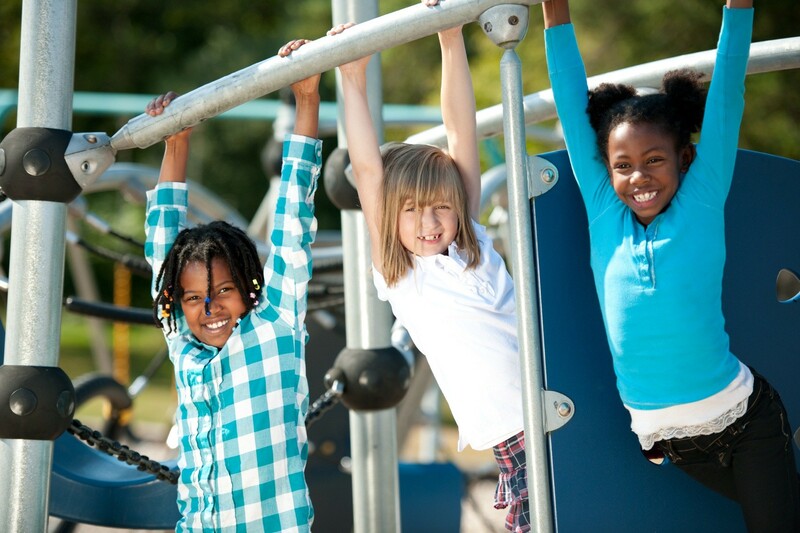 The DC Asthma Coalition mission is to reduce the burden of asthma for residents of the District of Columbia by coordinating the efforts of agencies, organizations and individuals to support effective asthma programs. 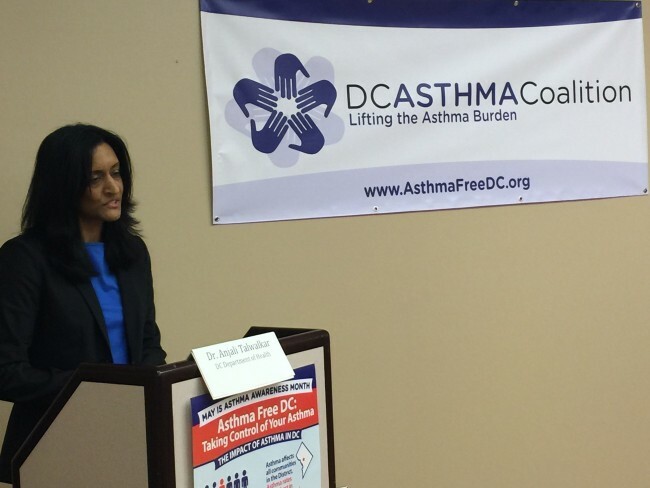 Pictured clockwise below: Dr. Janet Phoenix, DC Asthma Coalition; David Thompson, United Medical Center; Dr. Anjali Talkwalkar, DC Department of Health; Coalition members and press in attendance; Rolando Andrewn, Breathe DC.